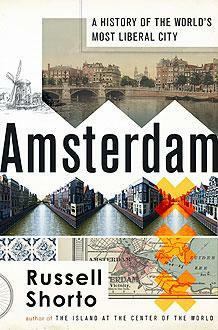 Author Russell Shorto will present the lecture “Amsterdam: A History of the World’s Most Liberal City,” based on his new book of the same name, at Hope College on Tuesday, Nov. 19, at 7 p.m. in the DeWitt Center main theatre. His books have been published in 14 languages, and he has won numerous awards. In 2009, he received a Dutch knighthood in the Order of Orange-Nassau for his services in strengthening the relationship between the Netherlands and the United States. The address is sponsored by Random House, the Netherland-America Foundation, the Van Raalte Institute at Hope College and the Dutch Heritage Coordinating Council. A reception will follow in the main floor Collegiate Lounge of the DeWitt Center, and there will also be a book signing after the lecture. In addition, copies of the book will be on sale at a reduced price. The DeWitt Center is located at 141 E. 12th St., facing Columbia Avenue at 12th Street. The Hope College Wind Ensemble will perform on Saturday, Nov. 23, at 7:30 p.m. in Dimnent Memorial Chapel. Two Hope men’s soccer players have been chosen as Michigan Intercollegiate Athletic Association (MIAA) Players of the Week in men’s soccer for games played through November 9 — midfielder Cameron Dice and goalkeeper Ethan Beswick.